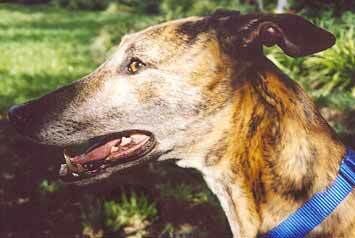 Jig, aka AZ Jack Flash, born 10/1/96, is a five-year-old dark red brindle male. Jig was a AA racer at Wheeling Downs, Daytona, and Victoryland tracks. 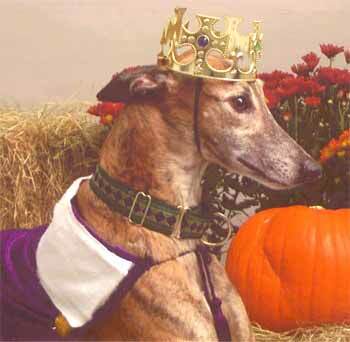 He is a loving boy who is now ready for retirement and adoption. Jig is very playful when you want to play; or he is happy to "veg out" when you want to; he loves to go for walks and does very well on his leash. Jig is affectionate, loveable, calm and laid back. 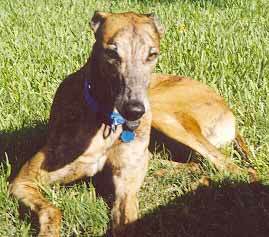 His foster home consists of a working mom and smaller greyhound "sister" who adores him!